The City of Fullerton launched a Community Stakeholder Survey with their online engagement tool OpenGov at the April 2, 2019 City Council Meeting. 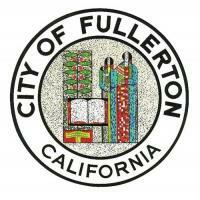 OpenGov, an online platform designed to engage citizens in a conversation about important Fullerton’s projects and issues, will use public input to help guide Fullerton officials in their decision-making process for Strategic Planning. Strategic Planning is a well-established process to help local governments (and private sector businesses) conduct an assessment and set goals and objectives for use of their available resources. The City of Fullerton aims to engage citizens by providing them information on the Priority Policy Statements and to provide more opportunities for citizen interaction and engagement. "We want the public to be part of the process and reach as many stakeholders as we can," said Fullerton City Manager Ken Domer. "This is an incredibly effective way to engage residents to participate in Fullerton’s decisions from the privacy and convenience of their own home and give valuable feedback for our upcoming Study Session." The Community Stakeholder Survey asks the question “What are your priorities for the City of Fullerton?” The survey is completely anonymous for all stakeholders, including City Staff, students, residents, business owners, and elected and appointed officials. Responses will be made public at the conclusion of the survey, ending on April 17, 2019. Stakeholders can also submit a written statement by emailing strategicplanning@cityoffullerton.com. In addition, a Special City Council Meeting / Strategic Planning Study Session has been scheduled for Tuesday, April 23, 2019 at 6:00p.m. The focus of the Strategic Planning Study Session will be to create a Mission and Vision Statement for the City and to update the City’s Priority Policy Statements based upon the results of the community stakeholder survey and written statements, public comments and City Council direction. To read more about strategic planning or to access the Community Stakeholder Survey, visit www.cityoffullerton.com/strategicplanning.